Clothes belonging to the late British actress Wendy Richard are to be auctioned for charity. 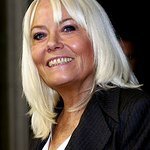 The actress, best known for her roles on Eastenders and Are You Being Served, lost her battle with cancer in February. The 65-year-old was well known for her charity work, and was patron to several non-profit organizations. She reportedly left £1,000 each to four animal charities in her will. According to the Daily Mail, a selection of Richard’s Chanel suits and Paul Smith outfits will be put under the hammer, with proceeds to go to the Lady Taverners organization, a vital and dedicated fundraising arm of The Lord’s Taverners. The Lady Taverners organization was set up in 1987 and has since raised over £6 million. The charity focuses their fundraising on specially adapted minibuses and sport and recreation for young people with special needs.